With the help of the original voucher you instantly replenish your account on the site http://www.skype.com. Paying for the goods you get the original voucher code for $ 10. 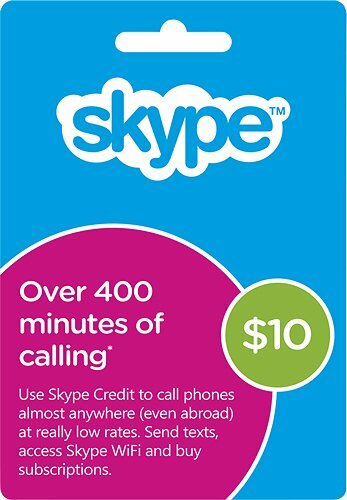 Skype account can be replenished in any currency. The original voucher is a safe purchase.